1921 7th St Berkeley, CA. | MLS# 479606 | Andrew de Vries, Probate Real Estate, San Francisco Probate Real Estate, Oakland Probate Real Estate, Berkeley Probate Real Estate, Alameda Probate Real Estate, Lafayette, Contra Costa Probate Real Estate, Probate realtor, Probate agent, Probate Broker. Just Sold - 1921 7th Street Berkeley - Listed for $499,000, Just Sold for $525,000 ($26,000 Over Asking!) 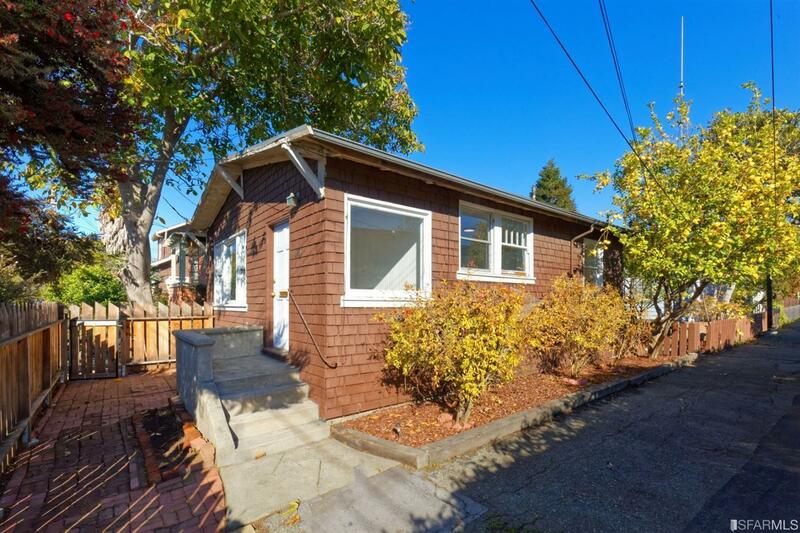 - This was a rare opportunity to own a charming 1BD/1BA 1916 Craftsman Cottage in the Heart of Berkeley’s Oceanview neighborhood and do so at a condo price! Great location close to University Ave, 4th Street, San Pablo Ave shopping and dining, North Berkeley Bart, Cal Berkeley, local parks, schools and easy freeway access. I provide all estate liquidation oversight, property enhancements for sale, HOA liaison, marketing and negotiations for Trustee selling on behalf of trust beneficiary. Rare opportunity to own a charming 1BD/1BA 1916 Craftsman Cottage in the Heart of Berkeley's Oceanview neighborhood and do so at a condo price! This vintage original features a formal living room, eat-in kitchen, ample bed and full bath, PLUS laundry room. Outside are cute front and back yards, a formal driveway AND a large storage shed/workshop. Great location close to University Ave, 4th Street, San Pablo Ave shopping and dining, North Berkeley Bart, Cal Berkeley, local parks, schools and easy freeway access. Home is located in the charming Sisterna Commons Planned Development and has a $35.00 per month in HOA dues. Come out and see your first home or downsize!